I believe that all couples deserve beautiful wedding photos. They are the legacy that you pass down to your family through generations. I want to help preserve those memories for you. Wedding coverage begins at $3500 and goes up from there. Couples can expect to pay $3,500-$5,000 for full wedding coverage, and between $1,000-$2,500 for elopements & intimate weddings. For a full list of wedding and elopement packages please contact me. I run specials for weekday elopements and city hall weddings. I have packages starting at 1 hour, 2 hours and 4 hours of photography coverage. I love to travel and there's no limit to where I'll go to photograph love! 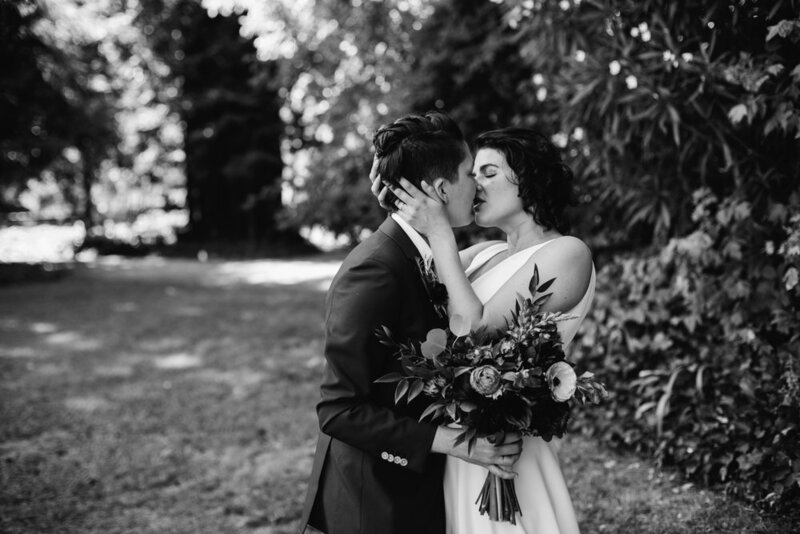 I have photographed weddings in Mexico, New York, Oregon, Washington and more. My travel fee depends on where you are located and how far in advance that you book, but I am always striving to keep travel fees as affordable as possible. I understand that there is a financial stress that's involved with weddings and I want to do everything in my power to get you the photos you deserve. I offer payment plans for full service wedding packages as well as a scholarship for 1 wedding per quarter at half off my 6 hour package. Scholarships are for folks who are experiencing circumstances that make paying for a full price wedding difficult. To fill out an application, please send me a message. When the day is done, and your outfits are hung back up, the recycling has been taken out and the flowers have died, the photos are all that you will have. You'll be able to relieve your magical day through these photographs for years and years to come. They are the photos you'll pass down through generations in your family. They are the photos you'll cling to when your loved ones pass away. You can't put a price on that. Invest in your future by preserving what you have right here, right now.